Many wonderful products will be for sale at the fair. 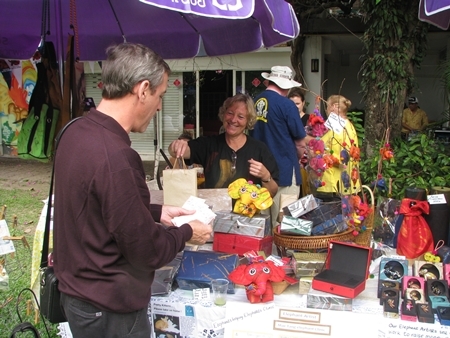 The annual Christmas fair to raise funds for the Royal British Legion and other organizations was held for the last time last year at the Citylife Gardens. 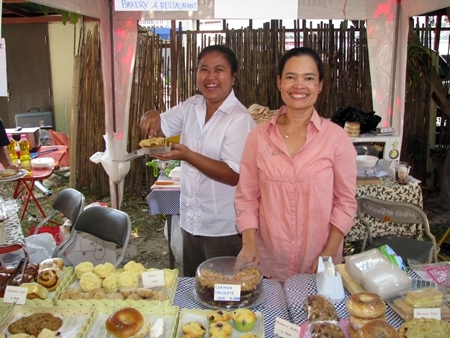 This year JJ Market is hosting the event and it is expected to be another high quality local fair featuring great food, fun, entertainment and shopping with proceeds benefitting charities of the Royal British Legion, which includes the Thai Veterans Hospital in Bangkok and Lanna Care Net, which includes McKean Rehabilitation Center in Chiang Mai. The venue is a large, shady Lanna-style plaza with excellent parking, toilets and good handicap accessibility. It’s an inviting and pleasant place to shop for holiday gifts, enjoy local culture, sample cuisine from throughout the world and learn more about the activities of many local charities. Over 150 stalls are expected with a food court, a business/charity section and a large secondhand flea market area that is hugely popular every year. The Chedi will be on hand offering their fabulous afternoon teas as well as relaxing massages from their spa, the d2 Hotel will be offering fabulous cocktails mixed by their award winning bartender, wine from WineCNX, food from the Steak House, silk and cotton textiles from Studio Naenna, and of course, the Care for Dogs Adoption fair with lots of very cute puppies. And lots of delicious food!